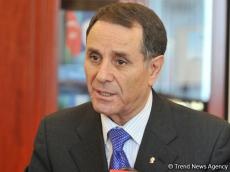 Azerbaijan has embarked on a path of close cooperation with the West and has not changed its position since, Prime Minister Novruz Mammadov said in his speech at the CAMCA regional forum in Baku. CAMCA (Central Asia-Mongolia-Caucasus-Afghanistan) Regional Forum is a non-political and non-partisan Forum established to promote region-wide discussions on means of advancing economic growth and social development in Greater Central Asia (Afghanistan, Armenia, Azerbaijan, Georgia, Kazakhstan, Kyrgyzstan, Mongolia, Tajikistan, Turkmenistan and Uzbekistan). "Azerbaijan has implemented major projects in this direction. It took important steps to restore the Silk Road between East and West, and to implement the North-South transport corridor," Mammadov said. He noted that Azerbaijan is located in the most complex and important part of the world, at the junction of East and West, Islam and Christianity. Azerbaijan is a rich country in terms of human and natural resources, Mammadov added. The prime minister added that Azerbaijan is implementing huge projects in the energy sector. "Today TANAP and TAP are the continuation of these projects. One could expect stronger support for these projects by countries in need of energy, but, unfortunately, it is obvious that sometimes small feelings interfere with such big goals," Novruz Mammadov said.